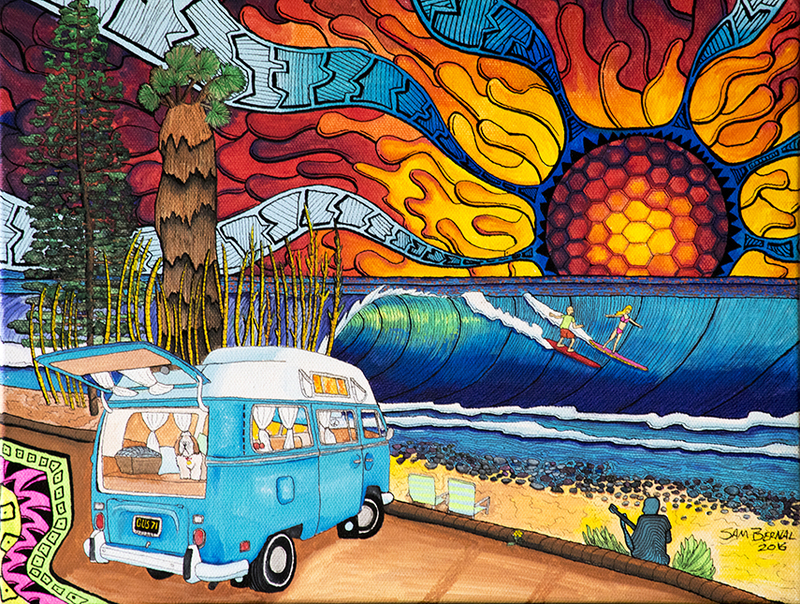 A commission for a surf family who loves Old Mans at San Onofre State Beach. I painted their bus, and Surf pup Harley waiting in the back for them. The happy couple caught a big set wave outside as they watched a pyschedelic sunset..